I recently read ‘DANCING WITH ROSE: Finding Life in the Land of Alzheimer’s’ by Lauren Kessler. In it, she reveals the inner life of an Alzheimer’s care facility. I liked so much about this book but want to share one part in particular for now. She goes on to describe both the residents and the workers fussing over the dolls, everyone playing along as if the dolls were real babies. My grandmother who had Alzheimer’s did this. She used to sit on her couch and hug them and coo at them. I think there were two dolls. I vaguely remember a stuffed bear named Henry as well, but it was the dolls she loved and mothered. I remember hearing her tell them how beautiful they were. My grandmother’s relationship with these doll babies went on for a long time. I never got used to it. What was going on inside her head? Did she honestly believe they were real babies? Was she just pretending? Did she think they were her babies or was she babysitting? By mothering and comforting these dolls, was she somehow feeling mothered and comforted herself? I never asked her. I felt too embarrassed, too unnerved. I don’t know why they made her happy, but I know they did. Has anyone else seen this happen? 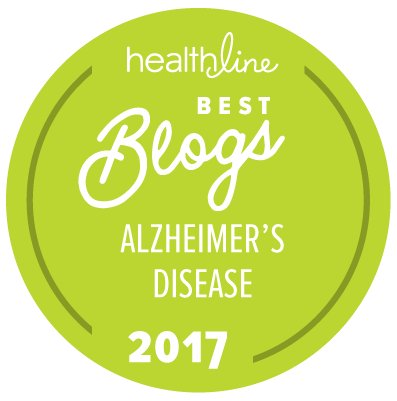 Does it only happen with women with Alzheimer’s? What do you think is going on? Very interesting. I've noticed that Jenny can't pass a young child without stopping to chat. Once I moved my mother's doll by her feet and my mother yelled…Don't hurt the baby!I said to her, "It's not real you know". And she said.. "I know". But she continued to treat itas real. My mother didn't hold dolls but when she was in the nursing home, she frequently went looking for "the baby." I worked as an Activities Director in a secure unit for years. Baby Dolls bacame a very important sense of comfort to many of my ladies. Whether or not they knew the babies were't real is not important-for those many moments and days they cuddled, spoke to and took care of the baby dolls they were comforted, at peace, joyful and happier. It must be difficult for families yes-but the look of contentment and calmness needs to be recognized also for the person with Alzheimer's.